You will be hard-pressed to find a more important asphalt maintenance service that safeguards the integrity of your asphalt pavement. Every property owner should be aware that asphalt pavement can deteriorate, whether it is from chemical exposure, gasoline, oil, water, the sun’s ultraviolet rays or other elements created by Mother Nature. Have your asphalt pavement sealcoated and you will enjoy a protective shield against these threats. 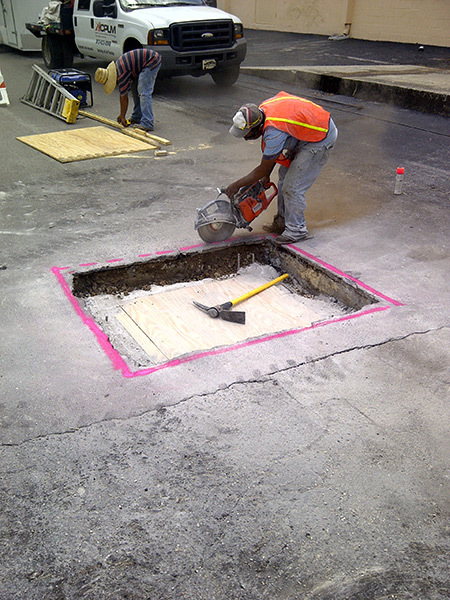 Asphalt Preservation: Sealing protects the asphalt’s surface and guards against the eventual formation of holes, cracks and myriad structural issues. Improved Appearance: Sealcoating in Orlando generates a lovely new black hue that is quite pleasing to the eye. This is the fresh and clean appearance your property needs. It even feels much smoother to boot. 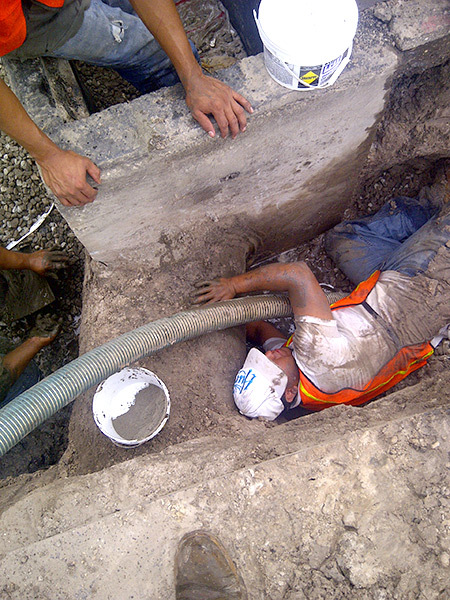 Waterproof: A fresh seal prevents moisture from penetrating the asphalt surface. Protect Against the Sun: The sun’s harmful ultraviolet rays will inevitably damage your asphalt surface unless it is sealcoated. 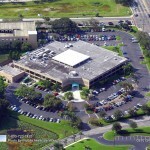 It Won’t Over Extend Your Budget: Sealcoating in Orlando is inexpensive! 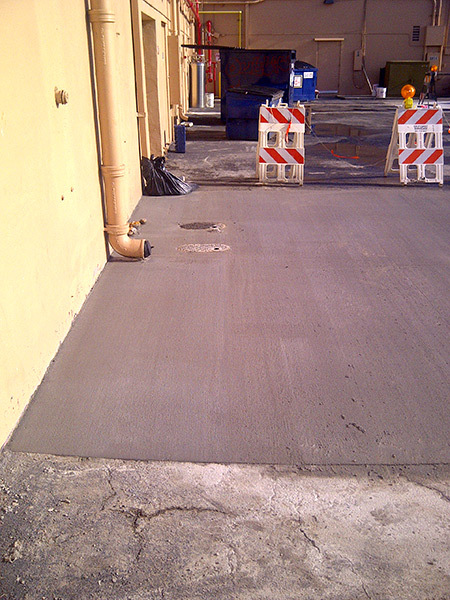 Though asphalt repairs sometimes cost dollars per square foot, the application of sealcoating greatly reduces the cost. 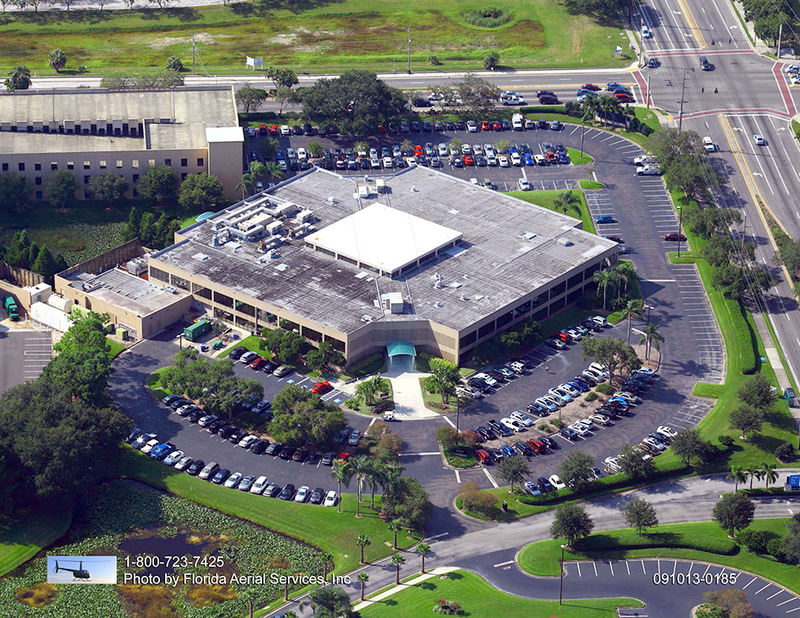 The bottom line is sealcoating in Orlando is the most economically efficient maintenance for asphalt surfaces. 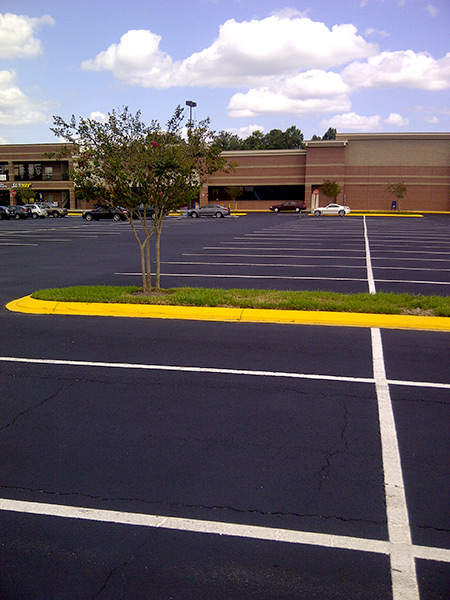 Older asphalt pavements require parking lot sealing as it replaces the small particles that are commonly lost due to erosion and oxidation along the top layer. Parking lot sealing seals diminutive cracks that pop up in asphalt. The result is a blocking of water and other forms of moisture that would otherwise breach the asphalt base and spur expensive repairs. 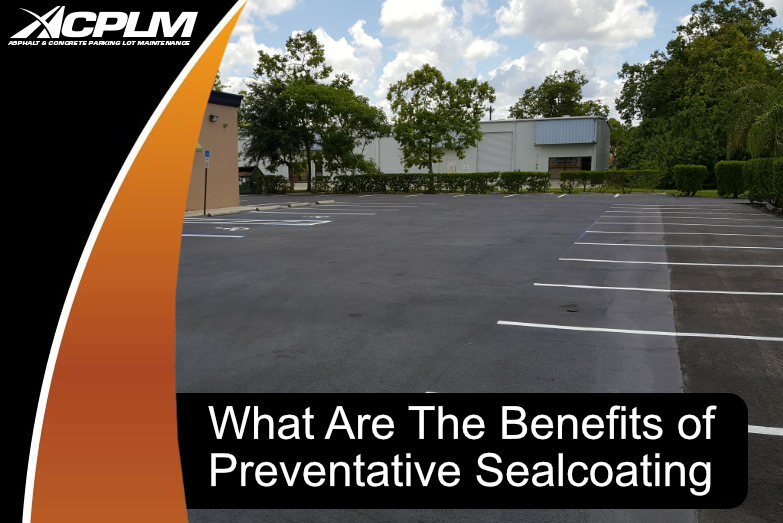 Parking lot sealing is exactly what you need to boost your property’s safety and value. Our sealcoating in Orlando service creates a gorgeous black surface that is incredibly smooth, making it easy to clean and maintain. Sealcoating should be performed one year after new asphalt pavement has completely cured. To be precise, the Asphalt Sealcoat Manufacturers Association reports sealing should be applied to new asphalt pavements after a period of 12 months. 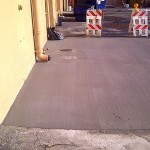 After the asphalt pavement is sealcoated, it is prudent to re-apply every 2-3 years. In an ideal world, property owners will evaluate asphalt pavement two times per year. Such an evaluation assesses the asphalt’s condition and pinpoints possible trouble spots. When in doubt, ask your knowledgeable estimator from ACPLM, Inc.
All dirt, debris and other foreign particles should be cleared from asphalt before sealcoating is applied. Such unsavory particles can be removed with sweepers, wire brooms or blowers. 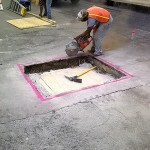 If the asphalt has any cracks or potholes, they must be filled before sealcoating is applied. Following this a primer is used. If this cleaning process is not performed correctly, the sealcoating won’t stick to the asphalt as intended. 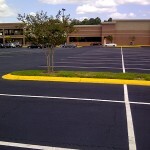 Once the asphalt has dried, the sealcoating process can commence. Sealcoating can be applied with a brush applicator, a squeegee machine or spray or a hand squeegee. The sealcoating application must be applied in an even manner so it does not overlap. In most instances, ACPLM applies two coats of sealer. The initial coat is allowed to dry before the second is applied. After the sealcoating is applied, the asphalt surface must be allowed to completely cure before traffic can move along the asphalt. In the end, sealcoating will preserve your asphalt pavement, beautify its appearance and save you plenty of money in the long run. It will drastically reduce the odds of an expensive repair popping up in the near future. Sealcoating provides important resistance, durability and visual appeal that every property deserves. ACPLM is here to make it happen. 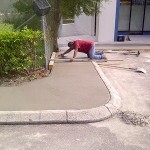 We are Orlando’s premier asphalt sealing company. Our team of sealcoating experts can handle all of your asphalt needs, whether it is a massive project, a quick job or something incredibly complicated. 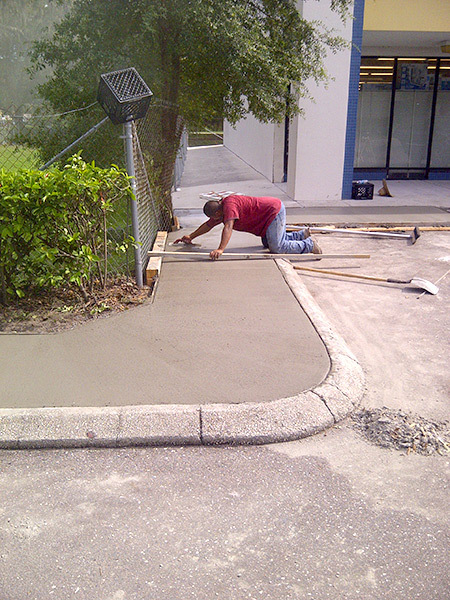 Call us today at 813-633-0548 for more information on sealcoating in Orlando services.